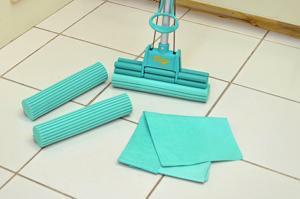 336-0007 - 7" Pro Mini PVA Mop Set - Special: $34.95 ea. (Reg $39.85) - IMPORTANT: This is not our standard size (11" - see below) - it's very small. Are you ordering the correct size? 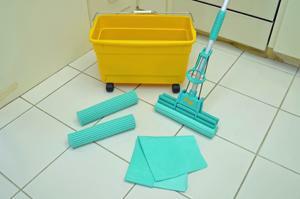 336-0016 - 16" Pro Jumbo PVA Mop Set - Special: $46.95 ea. (Reg $51.85) - IMPORTANT: This is not our standard size (11" - see above) - it's very large. Are you ordering the correct size? IMPORTANT: This is not our standard size (11" - see above) - it's very large. Are you ordering the correct size? Click Here for Instructions - The Super PVA Sponge Mop NOTE: The 11" mop will not fit a standard round bucket (rectangular buckets are OK). 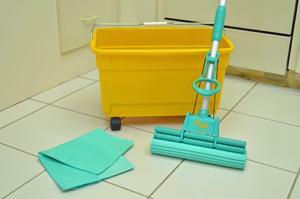 The 16" mop is over-sized and requires a larger bucket like our Super Bucket. Or, wring out mop in a washtub or a sink.